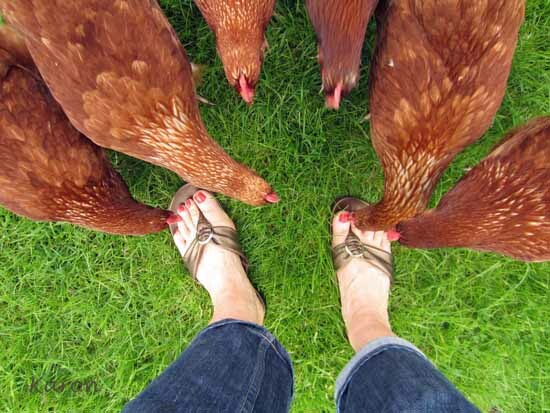 Chickens like red nail polish. Maybe it is because it matches those little combs on top of their heads, or maybe they just like inflicting pain on silly neighbours who happen by in a pair of flip flops. Note to self – wear gym shoes next time. 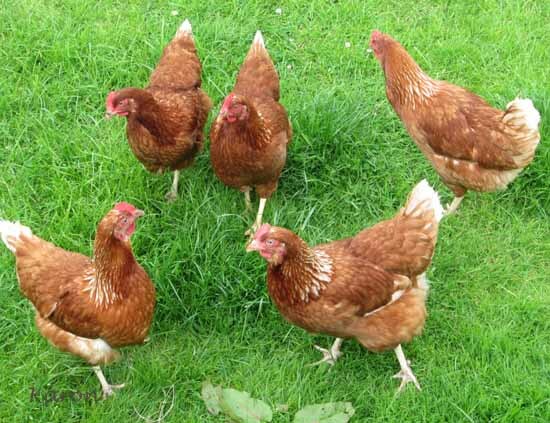 Chickens eventually give up on their footy fest and carry on as hens do, well doing nothing really. Looking about with beady eyes, looking for red toes to nibble perhaps. The objects of their desire (my feet) move swiftly to the house to collect promised eggs. Aah how kind, neighbours give eggs from chickens, chickens feel obliged to seek payment in blood. Everyone has their price I guess. the toenails are really juicy ladybugs/ladybirds?